A quote Dewan lives by: "Be phenomenal, or be forgotten!" by Eric Thomas. 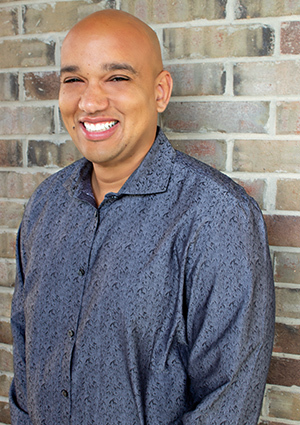 Regarded by his clients and colleagues alike for his professionalism, honesty, compassion, creativity and loyalty, Dewan Felix comes to work every day at Felix & Allen Realty with a wealth of real estate knowledge and experience. The Oklahoma City metro real estate market is unlike any other, and the process of buying or selling a home, building a new home, or remodeling a current home can often be a daunting one. By providing all of his clients with a winning combination of real time market data, meaningful communication, a meticulous eye for details, a cheerful willingness and determination to get the job done, Dewan consistently delivers a first class real estate experience. Nothing makes him happier than being able to not just meet, but exceed his clients' expectations. It is exactly this kind of service that has resulted in treasured relationships with his clients. My knowledge expands beyond just helping you buy and sell a house. Current education and staying on top of today's market in real estate are one of my main objectives to better serving my clients. My expertise includes banking and being a closer for the title company for more than 10 years. Having those tools to help you understand more than just signing your name on a spot on a contract is what sets me apart from most Realtors. I can potentially see issues before they arise due to my knowledge of the greater picture. Also, I believe in having a team not just with in my office but my life. My husband and business partner is a great wealth of information with his construction, real estate and accounting background. The lender, inspector and title company I align myself with only make "my team" stronger. Buying or selling a house is not just opening a door or signing a contract but about a smooth stress-free experience from start to finish. With 16 years of real estate experience I can guide you through the home buying and selling process with ease. I have had the opportunity to build my own home and know the steps to building the home of your dreams. I have been a member of some great organizations throughout my career. The first being The National Association of Professional Mortgage Women which showed me that being a part of the real estate industry can be very empowering. I had the opportunity to be a founding member of the MWC BNI group which I served a term as president and vice-president. This past year I was a Team South member with the South OKC Chamber of Commerce. All of which have paved the path to my success. Matt Allen got his start in real estate with home renovation. After he graduated college with a degree in finance, he began flipping and buying rental houses. Over the years, he has developed a strong understanding of Oklahoma’s real estate market. As a broker and property manager, he is in a unique position to help people achieve their real estate goals. Most real estate agents are good at marketing but know very little about the mechanics of a home or the numerous financial advantages of home ownership. Matt’s combined experience in home renovation, financing, marketing, and sales allow his clients a degree of knowledge and understanding unmatched in the industry. Matt loves his work because his renovation projects improve local neighborhoods and improve the quality of life for those who rent homes from him. He also loves helping people build profits by guiding them through the home buying and selling process as well as managing investment properties. "Stumbling into Real Estate in 2013 was the Best Accident to Happen to Me." An Oklahoma native, Trenesha specializes in new construction and in first time home buyers. She began her career in new construction and has expertise on many top home builders in Oklahoma and the Dallas market. While being well versed in new construction, her transition into general real estate was a natural transition. "I have learned there is so much more to finding a home for my clients, than just checking off boxes." Trenesha understands the importance of not just listening to her clients, but actually hearing them. Selling and purchasing a home, is more than a logical or practical decision, there is an emotional component. Understanding someone’s emotional motivation is sometimes more important than the home itself. "As a representative for buyers and sellers, you will not be disappointed with the level of care and attention I put into helping with your home search and getting your listing noticed and sold for top dollar". As a member of the Felix and Allen Realty Team, Trenesha is an active and full time realtor who values your time and takes what she does for her clients seriously.